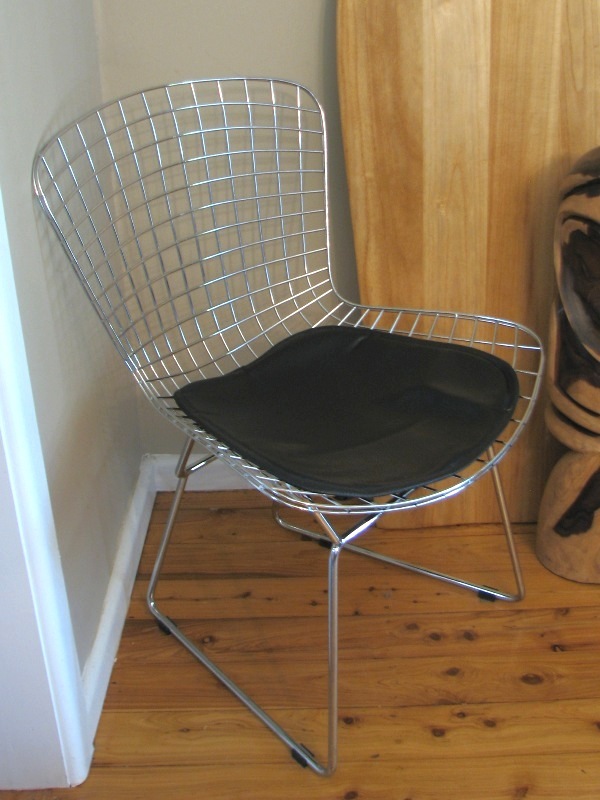 A couple of weeks ago we picked up a set of 6 of these fantastic mid century modern styled dining chairs. And yes, they were another second hand ebay score we couldn’t pass up. The great thing about the design is the base and seat itself unbolt from each other, so the chair pieces can be stacked up. We managed to fit 6 dining chairs in the back of a Hyundai wagon without even folding down the backseat! The downside was that every time I hit a bump it sounded like some shopping trolleys making love, which makes for a looong drive home. I’m the first to admit the chair is a replica. 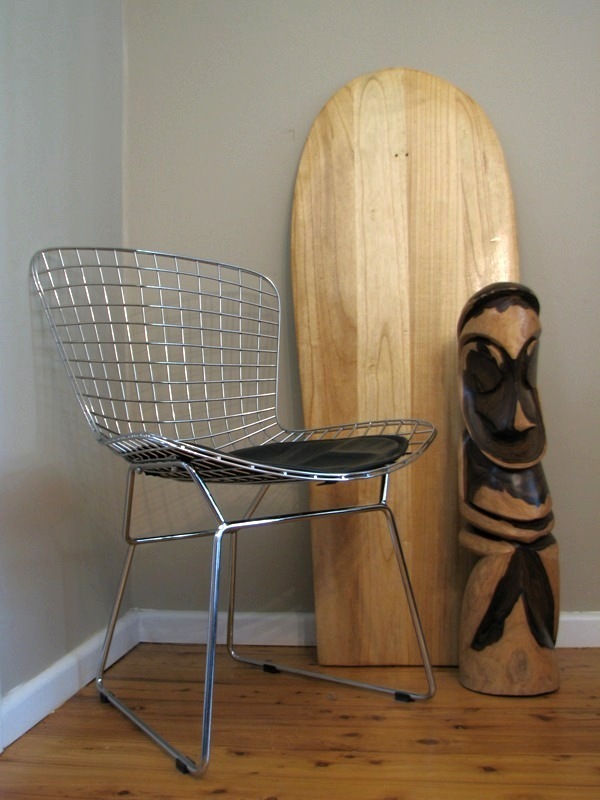 It’s a copy of the Bertoia side chair, which is produced by Knoll Studio. Sure I’d love the genuine article, and you can get them locally through De De Ce (info here). However when they ‘start’ at $1300 each, and well that ain’t gonna happen anytime soon. Here’s some pics. If I was a wanky designer I’d create some intellectual discourse about the juxtaposition of the modern steel design of the chair and the primitive timber carving. The truth is the dining table is pretty daggy (and will now be upgraded), but when I put the chair in the corner by itself it looked a little lonely!